Probably the most popular garment type, the winner will receive a £100 voucher for Minerva Crafts. 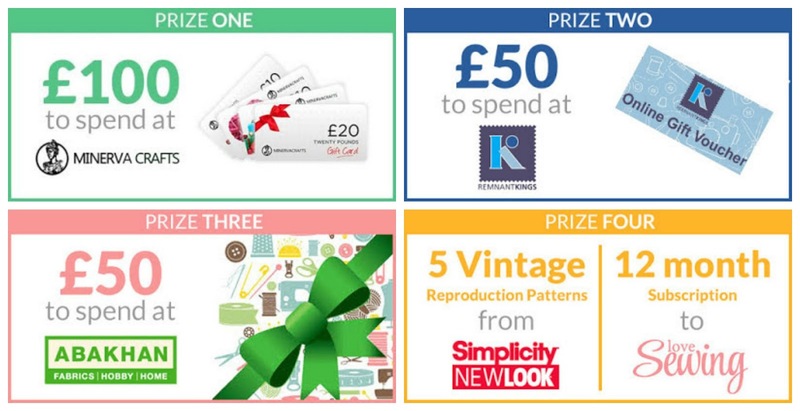 Whether you’ve made a demure 40s blouse or a 70s halter top, the prize for this category is a £50 voucher for Remnant Kings. This category includes all 'bottoms', including shorts and culottes, as well as jumpsuits and playsuits, with the prize of a £50 voucher for Abakhan. For coats, hats, and all other accessories including toys and homewares, the prize is 5 Simplicity reproduction patterns and a year's subscription to Love Sewing magazine. 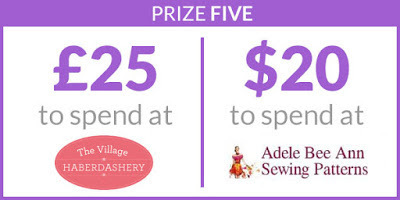 $20 credit for Adele Bee Ann patterns and £25 voucher for The Village Haberdashery. This isn't a category you can enter for, but will reflect a favourite item of all the judges. 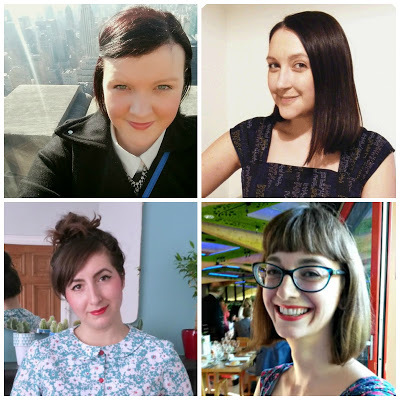 The judges will be myself, Kerry of Kestrel Makes, Amy, the Editor of Love Sewing Magazine and blogger at Almond Rock) and Hazel of Remnant Kings (and blogger at Disaster in a Dress). To be eligible, you need to pin your entries to our dedicated End of Year competition Pinterest Board. This is NOT THE SAME as the general Pinterest Board we have been using so far this year, but is solely dedicated to the End of Year Competition. To use the board, you need to have a Pinterest account and follow the Competition Board. You can then request permission from Kerry to pin by emailing her at kerry(at)kestrelmakes(dot)com with your Pinterest name - this is the name that displays at the top of your Pinterest page when you log in (usually your real name) and not the user name that appears as part of the address of your Pinterest board. Alternatively, leave Kerry a comment with your Pinterest name and she’ll add you to the board (though you'll need to be following the board first). You don’t need a blog to take part and if you don't have a Pinterest account, just email your picture(s) to Kerry and she can add them. The competition will close on the 31st December 2015 at midnight UK time. We will announce the winners in January 2016. Kids clothing fits into the same categories as above, but please comment below or email us if you have any questions about the competition. Anyway, I hope you’ve been enjoying the stash interviews and decade inspiration posts here and on Kestrel Makes. We’ve worked hard to get monthly giveaways and discount codes for you, partnering up with so many generous sponsors throughout the year so far – so a HUGE thanks goes to all of them. Plus there are more posts and giveaways to come, right up until the end of 2015. Until then, happy sewing and happy pinning! Wow, these prizes are pretty amazing. Can we enter things we've made before this date that are already on the general pinterest board? You can enter absolutely anything you've made for #vintagepledge this year, that's the beauty of this competition :o) You've made some fabulous things already, so make sure you enter as many of them as you like...thanks for joining in! is this competition open for overseas? Sounds fun I can't wait!